Ontario’s Liberals say they want you to ignore the naysayers, they may as well be asking us to ignore facts when it comes to Ontario’s economy and your wallet. In a column that ran in The Toronto Sun over the weekend, Liberal partisan and activist Omar Khan said that Ontario voters should realize how good they have it. I’m not sure which province Khan lives in, but it isn’t my Ontario. Despite claims that Ontario’s economy is doing just fine, there are a whole range of facts, policies and data points that show things are not as Khan would have you believe. Did you know that Ontario lost 26,300 full-time jobs last month? That fact was widely overlooked as most media outlets cheered Canada’s ninth straight month of job growth, a job growth driven by part-time rather than full-time employment. The only reason Ontario’s unemployment rate fell last month was the addition of 57,500 part-time jobs to counter those full-time losses. But the Liberals say jobs are plentiful in Ontario, Khan even points to the “Jobs and Prosperity Fund” as a shining example of what the Wynne Liberals have done. “Since its creation, this fund has doled out over $620 million to 25 private sector projects, leveraging $7.1 billion worth of new investments and creating 35,000 jobs,” Khan wrote. That’s great, but what happens when the subsidy for those jobs runs out? When you are giving companies an average of $17,000 a job to expand here, creating jobs is easy but those subsidies can’t go on forever. Nor can government job subsidies replace all of the plants shutting down across Ontario from Proctor and Gamble in Brockville, General Electric in Peterborough, Cambridge Towels in Cambridge or Maple Leaf Foods in Thamesford. The latest numbers from Stats Canada show 135,400 people in Ontario were receiving Employment Insurance payments in July – the last month we have numbers for – up from 129,460 in July 2016. Areas seeing large spike in EI payments were Windsor, Oshawa, London and Peterborough. All the types of towns that used to fare well on good paying manufacturing jobs. Of course, under the Liberals hundreds of thousands of those jobs have disappeared. Don’t take my word for it, the very Liberal friendly Mowat Centre released a report a few years back that showed more than 300,000 manufacturing jobs had fled the province under the Liberals. It’s not just on the job front that is showing weakness, the July report on manufacturing in Canada showed the biggest decrease since the recession. “Sales in Ontario decreased 6.1% to $24.1 billion in July, the largest decrease since January 2009. The decrease in July was attributable to motor vehicles (-20.8%) and motor vehicle parts (-11.5%),” read the report. That drop followed a smaller but still significant drop in June. 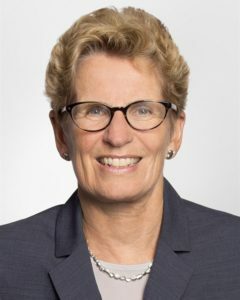 Stats Canada has also shown that Ontario’s income growth was the weakest in the country from 2005-2015, a period where the Liberals were fully in control of the province. So while to Mr. Khan and his Liberal friends, things might look rosy for the province, the average Ontarian sees things differently. Factories have and are closing, jobs are fleeing and wages are lagging the rest of the country. What isn’t lagging the rest of the country is the increasing cost of living in this province as electricity prices have risen out of all proportion to the ability of families to pay, all thanks to the misguided policies of the Liberals. And that too has cost jobs. Khan and the Liberals can point to GDP numbers all they want, the average Ontarian knows that full-time jobs, with good pay are harder to come by and life is more expensive in Ontario all thanks to the policies that he and his party keep pushing. Good reality check in your article. There are lies and then there are statistics.